(KORgolgat) - This vigorous growing climber gets to around 3m in height and about 1m wide. 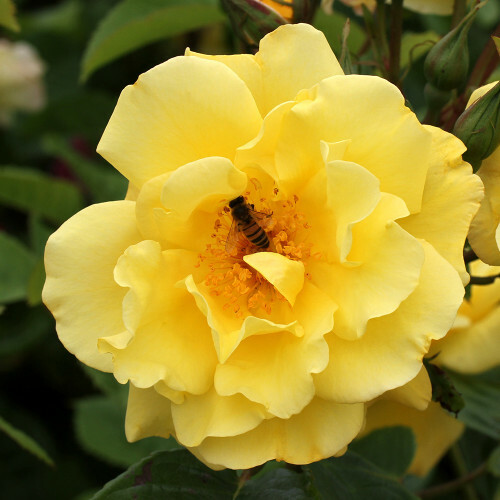 The beautiful yellow blooms have a delightful, fresh, fruity fragrance and are recurrent. This climber is almost completely resilient to disease. 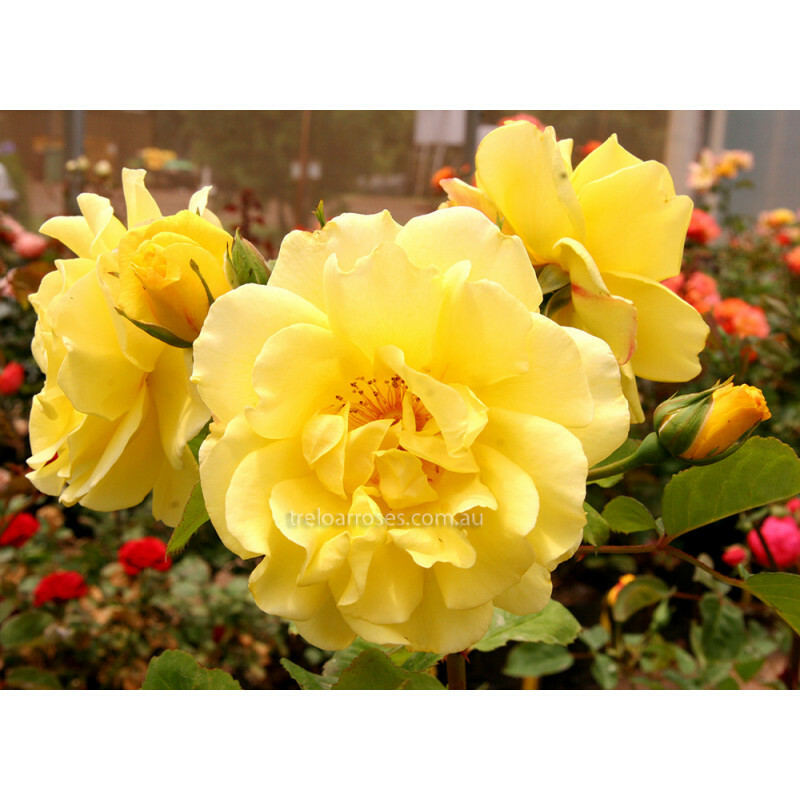 Golden Gate has an extraordinary and thrilling fragrance. 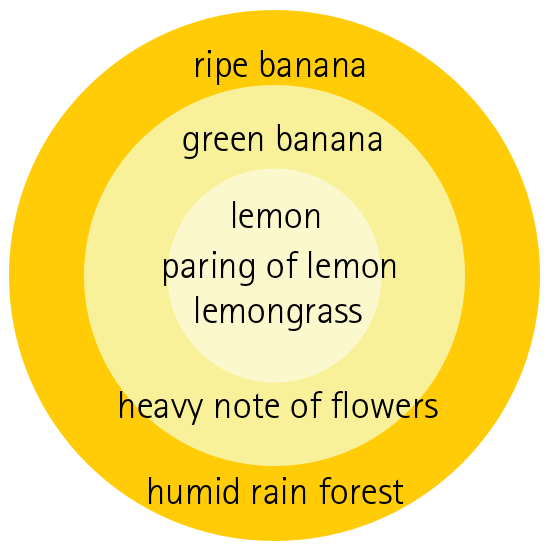 The head note first reminds one of lime, with lemon also present. This develops quickly to a tangy note of freshly cut lemon grass. The heart note is an exotic, tropical scent of green banana. There is a strong flowery nuance of tropical flowers. In the base notes is the impression of ripe banana and the humid tropical rain forest floor which completes the exotic character of this rose fragrance.